Sit and dine in your stylish outdoor area when you add this handsome bar table. Flared legs work their way up to an aquatex designed top for the ideal look that you have been looking for. 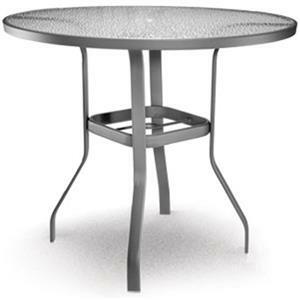 Completed with an umbrella hole for added versatility, this table will transform your outdoor space into a modern paradise. 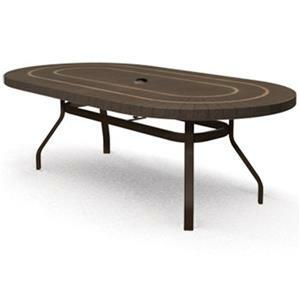 Throw elegant outdoor dinner party's with this handsome oval dining table in your backyard retreat. A Rich Cocoa finish with Bronze accents create a look that you are sure to love. Splayed legs connected by a stretcher gives this table the perfect finishing touch. With this table in your back yard, entertaining has never been easier. There's nothing quite as nice as sitting around a fire with family and friends, and you can make that happen in your own backyard with this fire pit. The piece consists of a blend of materials brought together to create a tastefully executed combination of faux Tuscan top, aluminum base and sling fabric. In addition, the frame and sling come in a wide selection of finishes and fabrics for a totally custom look. You can have an ideal outdoor setting with help from this fire pit. 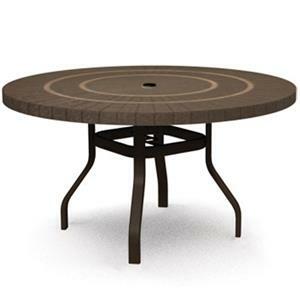 With this handsome table in your backyard retreat, you can't go wrong. Available in either a Cocoa with contrasting Bronze band, or a Lava with a contrasting Nickel band, you can find the look that matches your style perfectly. Splayed legs and a stretcher complete this piece for the perfect look in your outdoor retreat so you can host dinner parties in style like never before. 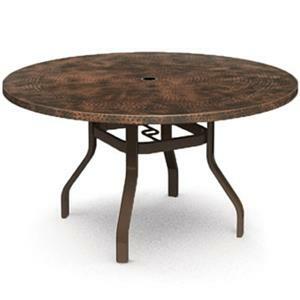 Perfect for entertaining guests and serving dinner outside, this round balcony table is crafted of hammered metal to give it a look that you will love for years to come. Splayed legs lead up to the top, which you can get in either a Copper, or Pewter color. 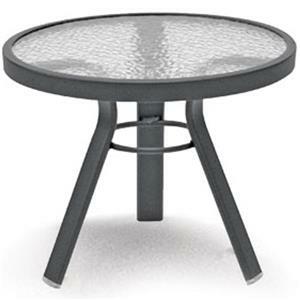 With this table in your backyard area, you can't go wrong. Invite your family and friends over for the perfect place to enjoy fresh home cooked meals in your outdoor retreat when you add this stylish balcony table set. The handsome faux granite top of the table is available in Boulder, Mineral, and Smoke colors so you can find the look that is the perfect look for your style and is completed with splayed legs. These stools consist of aluminum and features a modern frame design as well as uniquely flared sling. 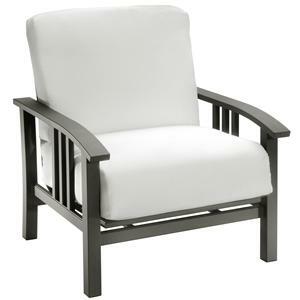 With this motion chair, you can emphasizes unadorned clean lines as well as artistic appeal in your own backyard. The piece features slat sides, wood track arms and motion movement. Plus, the upholstery back and seat come in a wide variety of fabrics and the frame has several finishes to choose from. 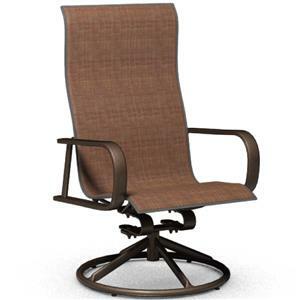 Bring the comfort of indoors to your outdoor setting with this motion chat chair. This side table is the ideal addition to your outdoor retreat for a stylish look. Flared legs contrast the aquatex glass top for a look that you are sure to love. 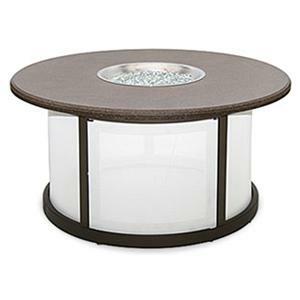 Get one or many, place this side table anywhere for the ideal place to set your drinks down as you relax outside on a warm summers day. Lounge in the sun with this stylish addition to your backyard retreat. Casual elements like track arms and a comfortable seat and seat back make this chair one of a kind. With swivel and rocking features, this chair is the versatile one you have been looking for. 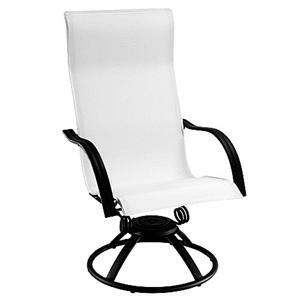 Anchor your backyard, patio or deck with this attractive swivel rocker. With its versatility, clean lines and simple form, you and your guests will be rocking in relaxation. The piece consists of steel while the sling seating surface is slung taut across a well built frame to resist folding, sliding and wrinkling. In addition, Homecrest invented and patented the “original” swivel rocker mechanism in 1956. This mechanism allows for the right rocking motion. This 60-year old outdoor furniture brand combines a rich history of quality and classic design with today's demand for affordable luxury and versatile living. 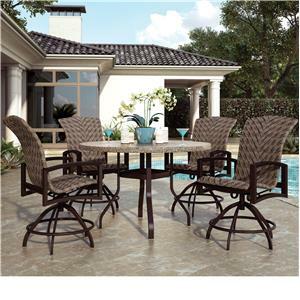 A comprehensive line of affordable luxury outdoor furniture offered in 30 collections. Pieces include tables, chairs, chaises, loveseats, sofas, ottomans bar and balcony stools/chairs stools featuring durable aluminum, steel, and cast frame construction. Products can be customized with an array of frame finish colors and fashionable fabric options. Tabletop options include metal, glass, granite and a broad selection of faux products. Comfort Recliner, The Original Swivel Rocker, Single Glider/Gliding Ottoman, Swivel Balcony Chairs, Color My Sling® and Faux Table Tops.